Although we frequently refer to it as Morse Lake, Morse is actually a reservoir. Because it is a reservoir, water levels can fluctuate by 4’+ or more! Water levels depend on the amount of rain and water demand from Indianapolis (we are a water source for Indianapolis). Due to the changing water levels, water depth is something to take into serious consideration when buying a home on Morse! I am frequently asked about water depth in certain areas of the lake. Is there one area to avoid? Is the north end of the lake shallow? The answer to all of these questions is… it depends! Yes, I know that isn’t the most helpful answer. 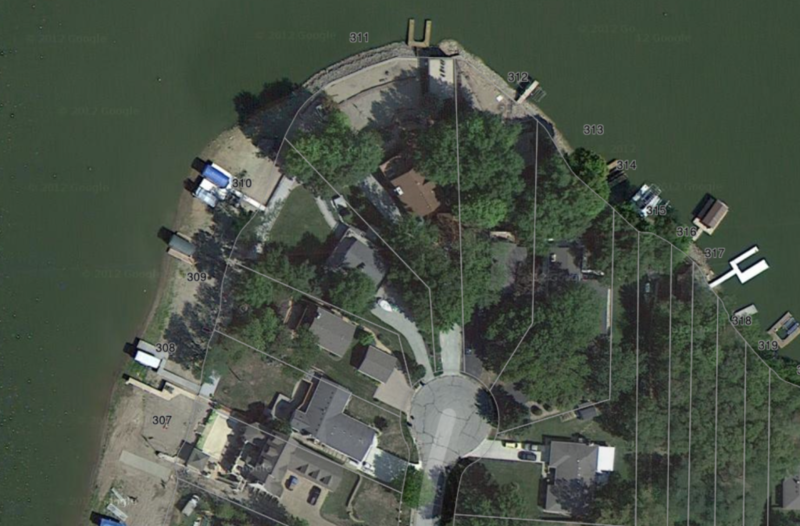 There are shallow spots in every area of the lake and something that needs to be closely looked at with each specific property! For example: There is a deep creek bed that runs along the shore north of the Jackson Street bridge. If you know where it is, you’ll be floating a lot longer in the season. Water depth needs are going to differ for each client. This is something I specifically discuss with each and every one of my buyers to determine the best fit. Do you have a deep hull wakeboard boat or pontoon? Are you planning on only kayaking? How important is using your boat each and every summer? 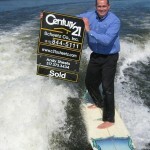 So how do I go about investigating water depth when helping clients search for homes? Years of experience and hours (yes, we set the dealership record for number of hours on a boat in 1 summer) boating on Morse are one of my greatest tools to assist clients in really figuring out what location makes the most sense for you! Second, the summer of 2012 saw our water 6’ below dam by July! This was the 4th greatest water drop on record. The good news is that we took photographs of each and every shoreline that summer and have an entire library of low water photos to reference! We frequently reference these photos and share with our clients! Curious how often the water drops and all time records? Click here to see current water levels as well as historical data and yearly low water records! Updated daily! 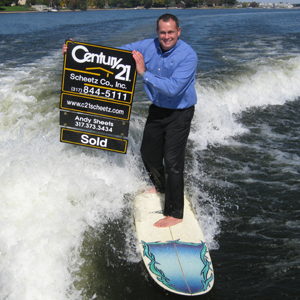 I live on Morse, I play on Morse and would welcome the opportunity to help you find the lake home of your dreams!